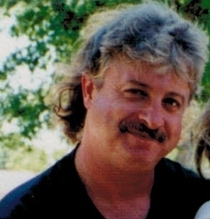 Thomas Ray Bailey, 60 of Paxton, IN passed away at 5:44 AM Monday, December, 21, 2015 at Sullivan Community Hospital. He was born in Sullivan, Indiana October 2, 1955 the son of Steven H. Bailey and Joyce McCammon. Thomas was a retired coal miner, and a member of the UMWA. He is survived by his mother; Joyce Graves (Fred) of Carlisle, IN, a daughter; Tori Lockard (Ryan) of Paxton, IN, one sister; Charlotte Rose Chambers of Dugger, IN, two grandchildren Jaklynne, and Jeffrey. Funeral services will be at 1:00PM Wednesday, December 23, 2015 at Newkirk’s Funeral Home in Dugger with the Pastor Gary Shaw officiating. Visitation will be from 11:00 AM until services Wednesday. Burial will follow in the Bethany Cemetery.